Along Piper Spit on the north side of Burnaby Lake, there are a large number of ducks of all sorts looking for handouts. 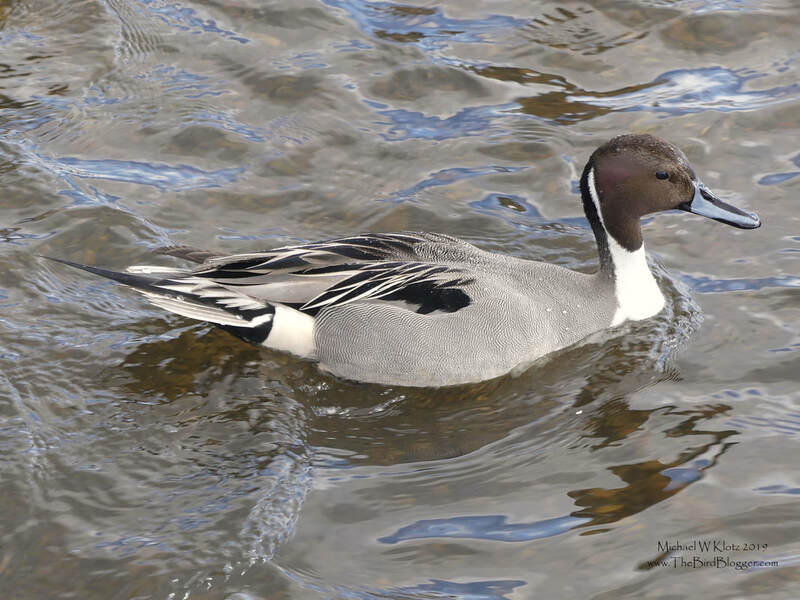 Most of the feathers belong to Mallards or Wood Ducks, but there are occasionally others like this Northern Pintail. This male has started getting ready for breeding with the blue beak and clean white breast feathers. The tell tale tail feathers are coming in nicely as well. Northern Pintail head north for breeding and are mostly seen here in the non breeding season.